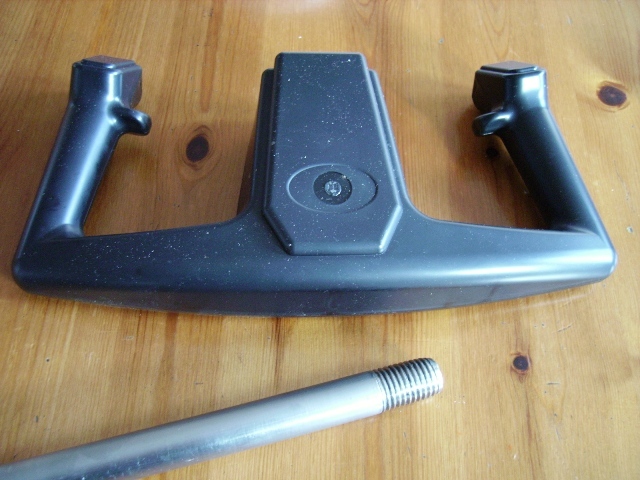 The original yoke was based on the unit available from Simkits, it was spring loaded to the centre position and used the Simkits plastic yoke handle. 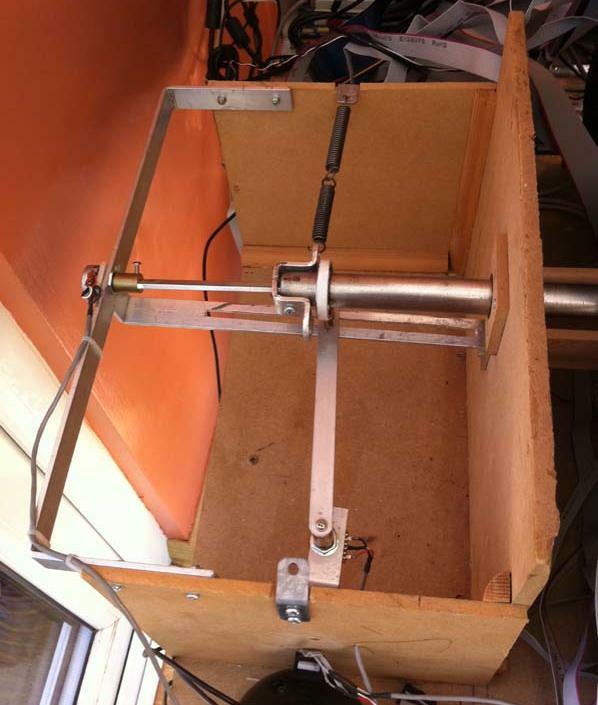 The unit was constructed as an MDF box structure, with potentiometer to provide the left-right and backwards-forwards feedback. 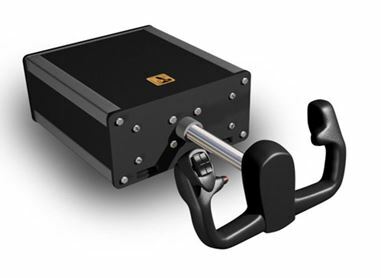 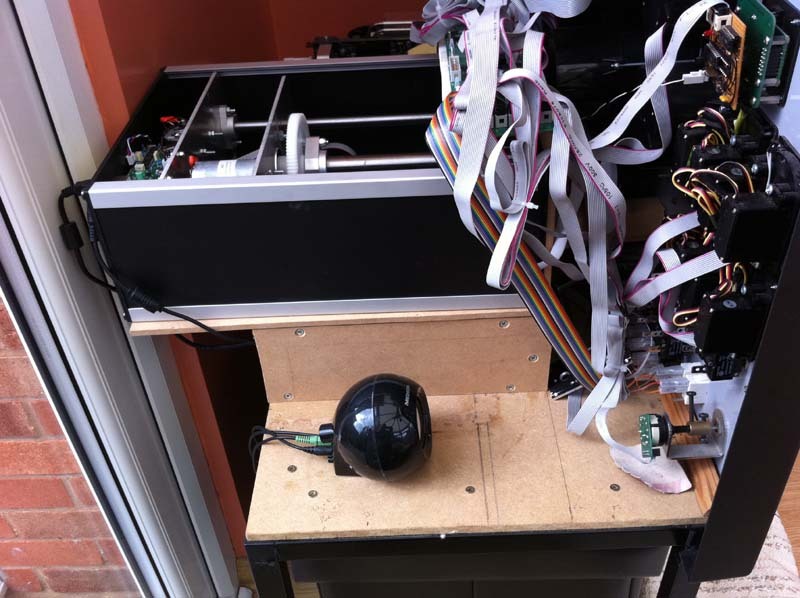 The spring loaded yoke was replaced with a force feedback unit supplied by Flight Illusion, the unit uses two stepper motors to drive the yoke axis. 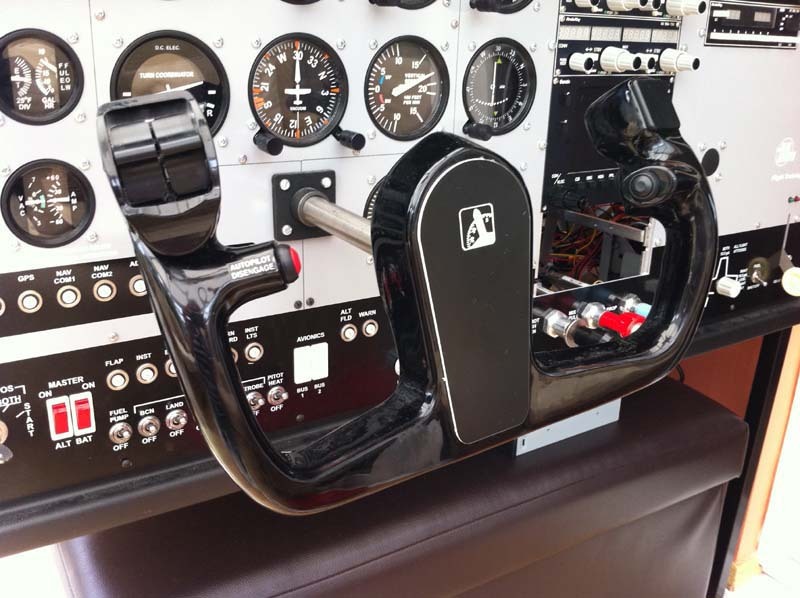 The unit was installed behind the simulator front panel, supported on a MDF box structure, the original yoke shaft was replaced with a longer hollow aluminium tube.